A large body of research confirms that access to wildlife resources can reduce conditions of food insecurity and health related illness among Aboriginal peoples in Canada and Alaska. Yet the procurement of wildfoods depends on the ability of Aboriginal households to overcome a range of obstacles that impede such access. Utilizing a data set collected between 2007 and 2013, this paper identifies a range of barriers that Aboriginal households in Alaska (Gwich’in), Alberta (Cree), Nunavik (Inuit), and Nunatsiavut (Inuit) encounter in accessing wildfoods. The results demonstrate that the constraints experienced by Aboriginal peoples in Canada and Alaska in accessing wildfoods are experienced differently depending on region, community, age, gender, and the political environment in which wildlife harvesting occurs. These findings underscore the diversity of factors that can influence one’s access to wildlife resources, and one’s chance of being food insecure. 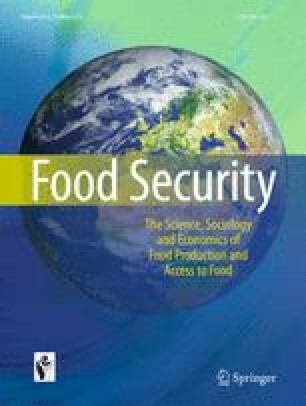 It is hoped that the results of this research will lead to a more informed understanding of Aboriginal food security in the Arctic and Sub-Arctic Regions of North America, and can contribute to more flexible policies that can account for the social, economic and political diversity in which Aboriginal food insecurity is experienced. Funding for this research was provided by the Social Science and Humanities Research Council of Canada and administered by the Resources and Sustainable Development in the Arctic (ReSDA) research group. The authors declare that they have no conflict of interest that would have bearing on the submission or potential publication of this MS.
Labrador Inuit Land Claims Agreement (LILCA). (2005). “Land Claims Agreement Between the Inuit of Labrador and Her Majesty the Queen in Right of Newfoundland and Labrador and Her Majesty the Queen in Right of Canada.” https://www.aadnc-aandc.gc.ca/eng/1293647179208/1293647660333. Accessed 25 March 2014. Thomas, F. & Thornton, T. (1998). Alaska Native Subsistence: A Matter of Cultural Survival.” Cultural Survival, 22. http://www.culturalsurvival.org/ourpublications.csq/article/alaska-native-subsitence-a-matter-cultural-survival. Accessed 14 November 2013. Truth and Reconciliation Report. (2015). TRC Findings. http://www.trc.ca/websites/trcinstitution/index.php?p=890. Accessed 10 January 2016. Wheeler, P., Ford, V., Konstantin, K., & Syroechkvskiy, E. (2010) Arctic Biodiversity Trends 2010 - #20 Changes in harvest. http://arcticbiodiversity.is/abt2010/index.php/en/ecosystem-services/changes-in-harvest. Accessed 5 January 2016. Whitehorse Aboriginal Women’s Circle. (2010). Traditional Roles of Yukon First Nations Women. htt p://www.wawc.ca/index.php?option=com_content&view. Accessed 24 August 2015.